In sports, it is safe to say that the die-hard fans have been a part of the team longer than some or all of the actual athletes who are playing on the field with the group’s logo on their jersey. They make progresses not just because they have great players, but also because the fans always get tickets to the games and support their merchandise. Therefore, it should not surprise you if you are new in the sports world and you get handed a free cap or something on your first live game. This is not far from the philosophy of the baseball team that is celebrating their 20th anniversary this 2016. 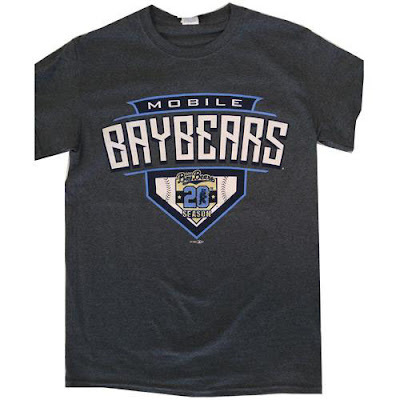 The Mobile Bay Bears have prepared T-shirts for their followers in one of their home games to show their love and gratitude to those who have never left them in two decades. Perfect Setting for the Brand Name. A free shirt is a large blank canvas, and anything you print on it will definitely be garnering attention from other individuals. When the recipient runs an errand in this top, more people can see it. Thus, this is the perfect setting for the name of the brand. Possible Additional Followers. The sports fanatics who may have not known anything about the team before will know about it now once the shirts are out. Because they will be obtained by hundreds of supporters, additional followers can be gained by the squad soon enough. Let the masses know the greatness of supporting your company with the help of the promotional ideas from the blog. Entertainment Earth has provided so much joy to superhero and cartoon fans out there by selling the best collectibles. They have started with action figures in mint condition from Star Wars in 1996. That must have been a great decision because look at what they have already accomplished in the past years. Their products are not only a hit to children, but also to adults who are more capable of buying licensed figurines and toys without needing the parents’ permission. 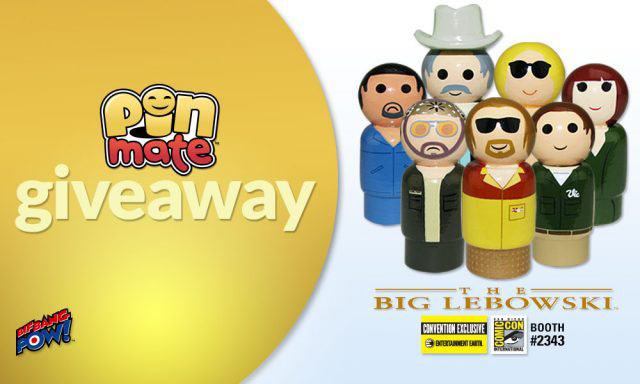 For the company’s 20th birthday, they have given out cartoon and movie merchandise in the form of Pin Mate wooden figures to their greatest fans in this year’s San Diego Comic-Con. Thousands of Fans Want It. Captain America: Civil War of Marvel still makes some people argue about who is better between Steve Rogers and Tony Stark, but they have not forgotten The Big Lebowski. This is perhaps the reason why the company has thought of these two movie franchises among the infinite number of films they can choose from. The fans truly, madly and deeply want collectibles centered to them, and so more people will stop by their booth during the event and make purchases. Ultra-High Company Recognition. Because the figurines are not as mundane as a mug, they can really be distinguishable even from a distance. When people commune in such gatherings, it is as if they have known each other for a long time. They speak to one another while waiting on lines, and they give info on where there are a lot of freebies being given away. This increases the company’s individuality. Promote your brand in a fashion that your consumers will readily say ‘yes’ to it. Visit our blog now. It must be a different feeling when you celebrate your company’s 1st anniversary and when you commemorate its 120th year in the industry that has provided you with creative space to produce the items you and your consumers believe in. Not a lot of brands will be able to explain the emotions that have succumbed them when they see themselves doing the latter; others foreclose before they even reach 10, 20 or 25 years. But Drake’s Cake can. Drake’s Cake must be so overwhelmed by it, that’s why their anniversary giveaways comprise of a two-week road trip using a Winnebago rental car, solar lights, free thermos, branded duffel bags and many, many more. Higher Consumer Gratefulness. A lot of consumers are thankful for the sweet treats that Drake’s Cake has provided to them for over a century. The grandparents of their grandparents may actually have gone to this company and savored their products well. The promotional products, however, can bring their gratefulness for the existence of the brand to a higher level. Shows That Their Goodies Are Not Just For Home. In a way, the promo gift pieces exhibit that the company’s products can also be enjoyed in long journeys. Furthermore, it encourages families to go on road trips as well so that they can experience what the grand winner will experience on a Winnebago vehicle. Check out our blog to find more ways to carry out dynamic anniversary giveaways. Combat Arms is a type of video game which the Nexon company has introduced to the gamers in November 2007. It has gained popularity across the globe because it is a multiplayer game that does not require people to be in the same room, city or country to play against each other. This is the ultimate shooting game where players have to kill the others in order to stay on top of the score board. They are now celebrating their 7th anniversary, and some original gear items can be had by their customers. The selection includes a promotional backpack, a cool bandanna, a branded cap, and an exclusive dog tag. Increased Mindfulness about the Game. Even though 7 years have already gone by, this can still be considered new in the market. That is the reason why even if they only produced a free bandanna, as long the consumer wears it all the time when he’s outdoors, more people will be made aware about Combat Arms. Restored Brand Likeability. When the company’s promotional ideas display how much they want to thank the individuals who have been loyal to their products for ages, they no longer need to prepare a lengthy speech, as the free gear items speak for themselves. Such a nice act restores the brand’s likeability. Visit our blog today to see how you can spread the word about your anniversary through exquisite giveaways. Reading is therapeutic. Not too many people will agree to that statement, but there’s some truth to it. When you open a book, you learn new things. When you read, you experience an idea through the words of the author. And when you go to a public library, you may meet new people who share the same interests that you have. This must be the reason why the Friends of The Seattle Public Library is still going strong at 75. What this non-profit organization is all about is that they help raise funds, donate and provide books for libraries that need aid the most. For their silver anniversary, they are giving away a branded tote bag. What are Branded Tote Bags Good For? For Greater Brand Visibility. 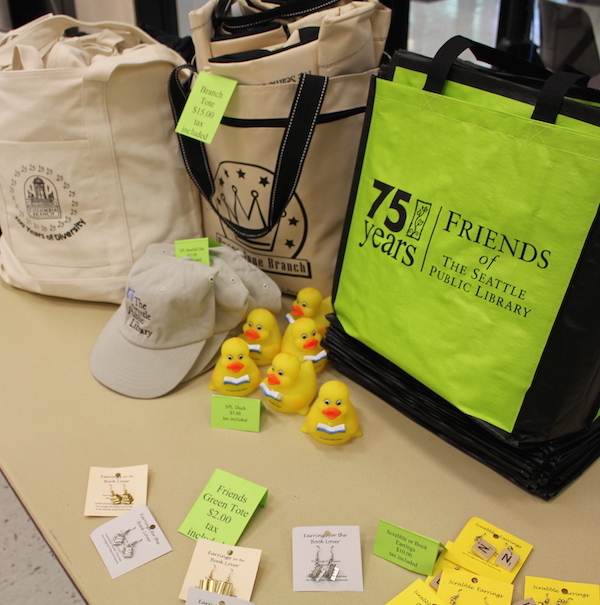 You can use the tote bags at the library to carry the books that you want to take home with you. Once outside of the establishment, you can also use it as a shopping bag or a picnic bag which, either way, will make the brand achieve more visibility naturally in the community. For Gaining More Advocates. The members of the organization give more than what they receive. They have same purpose as the founder, and that is to give or sell books for the betterment of libraries. The anniversary giveaway will help spread this knowledge about their cause, and then perhaps gain more members along the way. The best is yet to hit your consumers on your brand anniversary. Visit our blog today for more promotional ideas.